As mentioned in the previous Blog, we are always looking for products that will hold up to the stress of delivery. A product we have rented for decades which has been difficult to keep in good condition is our tall five branch silver candelabra. Historically, these were made of pot metal then plated with a nickel finish. They were easy to keep clean by wiping the surface with newspaper, however, they are often damaged during delivery and while being stored at the delivery location. They are top heavy which makes them easy to knock over. We built cases to deliver them, but this only slowed the damage. Like too many products, the distributors discontinued the product we own, later going out of business, leaving us with quickly depleting inventory levels. A year ago, I talked to a company who manufactures champagne fountains in the US. They were determined to build the best fountains in the industry. We bought a few last year and they are still in like new condition. This company considered each potential problem with other products available on the market and found solutions to each of them. They sell various silver candelabra styles which I looked at as well last year. I didn’t change to this product because we had a supplier, but when they closed their doors this year, I spoke to the owner of Apex Fountains about why he believed his candelabra was so great. The nickel finish was not a problem and easy to maintain, so they are all nickel plated. The pot metal was the major problem, but because this is the cheapest way to get great detail, it still made sense to use it for most of the candelabra. He found that the most common things to break were the arms and joints. From experience, I can assure you he is correct. The arms snap when the candelabra falls over. This new product has stainless steel arms and attaches to a stainless steel hub which is part of the column. The candelabra disassembles so that we can store the arm assemblies by nesting them one on top of the other in one crate and the bases in another crate. They require assembly on site, but we believe they will remain in top condition for a long time. The best part is that all parts of each unit are replaceable, so even if we experience a break, we can repair it easily. As mentioned in the first installment, meeting people is one of the main reasons I go to trade shows. For years, I have wanted to join a BAG (Business Associates Group). This gathering of similar companies from around the country meets to discuss how to better run our businesses. We compare financial statements, talk about products that are proven to be great rental items and share best practices. I have been unable to enroll in a group in the past because someone in each group felt I was a competitor. However, this year, I found a group that is in the process of forming. I met the owners of three party rental companies from the US and Canada, along with two other companies who joined us by phone to lay the groundwork to create this new BAG. In speaking to the owner of one of the Canadian companies, I learned that her operation runs with an all-female staff. She has found that women treat equipment with more care than their male counterparts, and as her crew evolved, they built various carts and adopted methods to eliminate the heavy lifting that detour female employees from filling delivery and warehouse positions at most other companies. While I do not think we will become a company of all female delivery staff, we hired our first woman driver. She has gotten great reviews so far and as we change some of our delivery tactics, we will be able to offer opportunities to anyone, regardless of the perceived strength of one gender over another. In Part 1, I mentioned the great classes we have access to at The ARA Rental Show. This year I attended a class called “The 12 Week Year”. It was one of the best classes I have attended. It was about the concept of shifting business plans from an annual overlook to a shorter period, allowing a more detailed approach to changes. Every year, I contemplate our business and list goals I would like to accomplish during the year. The problem with this approach is that many projects are monsters which never get started. For example, it took us 5 years to get a new website from the first year I planned to complete it. The biggest obstacle in completing large projects is starting them. Another example of a giant project I’ve never gotten started is establishing a department to sew and repair our tablecloths. I found something I’d written in 2001 which included this on my annual plan. It has been on that plan every year since. When you put a project on an annual plan and don’t get started by the end of January, you think, “No big deal, I have 11 more months.” Same after February, still plenty of time left. Suddenly, you are into the depth of busy season with no time for a special project. By the end of the year, when you are considering plans again, you realize you haven’t accomplished those goals. The reason these big projects fail to get started is that they are massive and will take lots of time. Because you know this, you move them down on the priority list. You’ll start when you have time, which is always later. “The 12 Week Year” changes your way of looking at projects. Instead of giving yourself a year to complete your goals, limit yourself to 12 weeks. This forces you to begin immediately. I have started on several 12-week projects, one of which is our seamstress department. I had to begin by determining our goal. Knowing this, I broke the project into smaller chunks with plans of what I can accomplish each week. This way, instead of a monster job, I have a few small tasks to complete each week. So far, we have visited an operating seamstress department where tablecloths are being made, determined the space needed, where we would place it in our building, and what equipment we need to buy or build. This week, I plan to go to look for potential employees. The long and short of it is that we are far closer to accomplishing this long-term goal than ever before. It has not taken over my life to accomplish it either, proving this method will work for me. I have several others I will begin in the upcoming weeks and I believe I will hit my 2018 goals more closely than ever before. 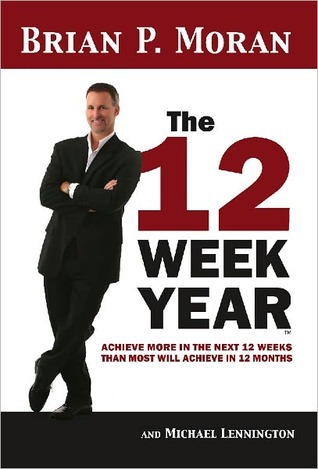 If you are interested in learning more about “The 12 Week Year”, check it out at 12weekyear.com. Don’t forget to stop back in the next few weeks for my third and final installment of Why We Go to Trade Shows.